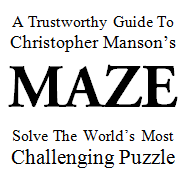 Below you will finds of links to tips on solving MAZE. Enjoy! I added a selection of material from the guidebook I thought may be of some interest to y’all. If nothing else, the maps turned out nice. Good stuff. That’s the kind of introduction (useful, well presented, intriguing) that we keep saying we need to do on a podcast and that we keep not doing. Including 1 as a proper part of the Loop was an interesting choice. It creates probably the most aesthetically pleasing arrangement. If you watched my maps video (AND WHO ON EARTH HAS NOT?) you know that I sacrificed order for a more immediately visually obvious return route to 1, and I stick by that for utility reasons, but it’s nice to have an orderly layout for the Loop. Needless to say, in all aesthetic respects your maps are the best available. My lazy request to have someone remake my ugly maps has not born fruit. I would really like to see someone combine greater informational completeness with the appropriate aesthetic that you established for the maps, BUT GOOD LUCK GETTING SOMEONE TO DO THAT. I ain’t gonna do it. kon-tiki, if you’re interested in joining our google hangout it will bring you joy, laughter, brainstorming sessions and ultimately camaraderie among our little group. we’ve all become pretty close and we invite you and anyone else to come join us, just leave us your gmail address and Vince or I can add you. this is your friendly neighbourhood s.p.iderman reminding you we are all still waiting for the guidebook! The proof came back with yet more formatting issues and I don’t have time to finish it right now. But more to the point, I am not sure I should publish it. You are all doing great solving the riddles, you already know most of the solutions it contains, but for the ones you don’t the book gives hints to make them easier. The harder the riddle, the more substantial the hint. Do you really want that? The real purpose of the book is to help beginners get into the book, not old pros like you guys. I am afraid you will resent having stuff handed to you. There are a lot of smaller riddles I’m sure you wouldn’t mind getting minor hints for. 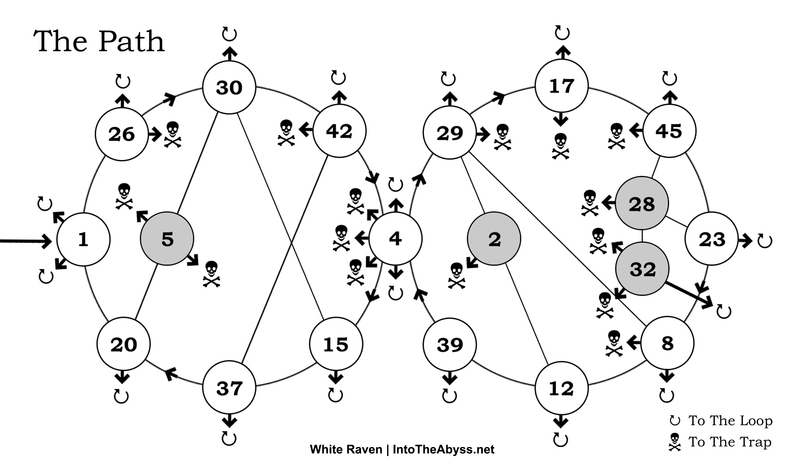 But there are some awesome riddles as well, such as “SiGN,” “Magpies,” the reversing puzzle, the identity of the guide, and more, to which I give very specific help. My current plan it to wait a year or two to publish the book, but in the meantime modify this page so it contains all the stuff that does not contain hints (i.e. how puzzles work, MAZE puzzle types and general frequency, the maps, an analysis of the levels of MAZE, etc.). So Spidey, is this acceptable? Is this a basic introduction to Maze? Yes it is an introduction with a basic description of the primary puzzles (the really solid ones) to be found in each room. The main point of the book is to be a companion book to MAZE for use in the classroom – especially for advanced students. The book is stalled right now, it came back from the printer with errors I need to fix and I barely have time right now just to keep up with this site. Any word on when this will be available? Every time someone asks about this I get to work on it again, so thank you! I was finished with the content of the book over a year ago, about two months ago I finished the formatting and then I decided to add door rating for every room (i.e. “correct” “bad” “very bad” “TRAP!”) with door images set in a table. The table threw off the formatting and so now I am going through the book fixing the formatting issue one room at a time – it won’t take a lot of time, but I don’t have a lot of time. I am hoping to finish the book in spare moments over the next two weeks. After that it takes a week to get a proof back from the printer. Then I am sending it to Mr. Manson for his reaction. If he gets back to me quickly, and gives it the go ahead, the book will be available through Amazon around July 15th…we’ll see. Good news! I am so curious! Especially about the maps. You know that maze like that can be very easily mapped with a social network mapping solution. Like Gephi (google it – its free). If you need such a complete map and don’t know how to use Gephi – I can help you, it will take 15 minutes at most. Gephi is an awesome program, much better than the mapping program I have been using for my job…so thank you for that, you made my life a bit easier. When I mapped the Maze such programs did not exist yet, it sure would have saved time had I used one! 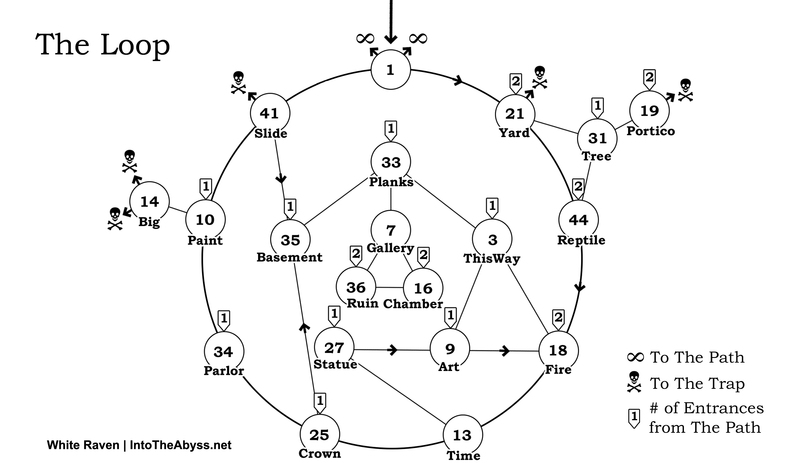 That said, mapping programs do not help much in regards to creating a finished map of Maze since creating a useful map has less to do with the connections themselves and more to do with qualities associated with those connections – it is an artful, interpretive process to make a map that is useful. I have finished formatting my book and but have not yet sent it to the printer. Perhaps I will use Gephi to create a network map as a contrast with the interpretive map. I have been so busy with work and finishing my PhD that I haven’t had the three days necessary to format the book for printing. I am shocked to see that it has been over a year since I finished writing the book. I shall have to make the time. Send me an email, I have a proposition for you. The book is done. Publishing it however will take awhile, few weeks maybe? I’ll post an update when it is ready. This looks like it will be a very interesting site. Good luck!